Yoga Ugo has launched their Teespring social online funding campaign that will raise money to benefit Bent on Learning, an organization that teaches yoga to urban children in New York City. Fashion design and yoga accessory company Yoga Ugo has launched a Teespring social campaign fundraising initiative this month to benefit Bent on Learning, a NYC-based organization that teaches yoga to inner city children. The event aims to raise money through the online sale of Yoga Ugo T-shirts beginning this week. Yoga Ugo Founder Susi Lacoff Resner decided to launch the fundraising initiative because she believes Bent on Learning is doing something profound and is an inspiration to people who understand what a positive impact an early introduction to yoga can be to young children. Resner's experience as a Children's Wildlife Educator has inspired her to invest in causes like Bent on Learning to support children in improving their lives and their communities while being happier and healthier. Bent on Learning began in 2001 as a group of volunteer yoga teachers who wanted to teach yoga to urban children. In the aftermath of September 11, the organization grew after New Visions for Public Schools asked Bent on Learning to provide lessons to children in NYC public schools to help them cope with post-traumatic stress and heal. Resner continues to focus on inspiring children and adults alike to keep life simpler and to get back in touch with nature and wildlife, Resner's other product lines include hands free bags to carry “stuff,” from water bottles to micro pets. Yoga Ugo brings beauty and functionality to the world of yoga bags. The Signature Yoga Ugo yoga mat hammock whose mesh carrier design simply cradles the yoga mat and related gear. 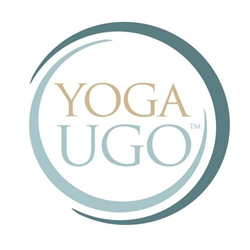 Yoga Ugo currently has several different carrier designs including private label options. To learn more, visit yogaugo.com and beardiebag.com; to read Resner's latest published article.